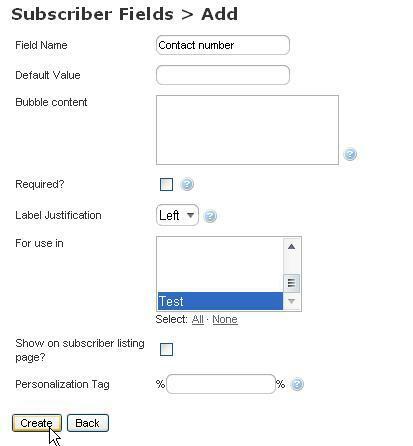 Enter the Subject, From Name and From Email address accordingly into the fields. 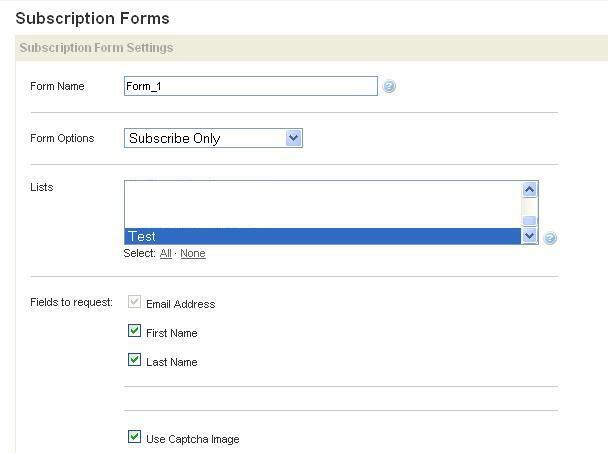 How to add customize field to the mailing list? How to insert image file to the email message? Enter 'Image description' and 'Title' for the image accordingly. How to edit a subscriber's details? How to export the subscribers? How to setup the bounce management? 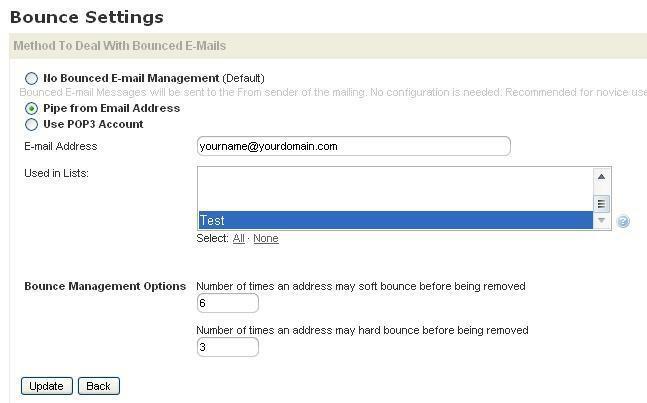 Pipe from Email Address * This approach will send the bounced back message to the e-mail address entered. 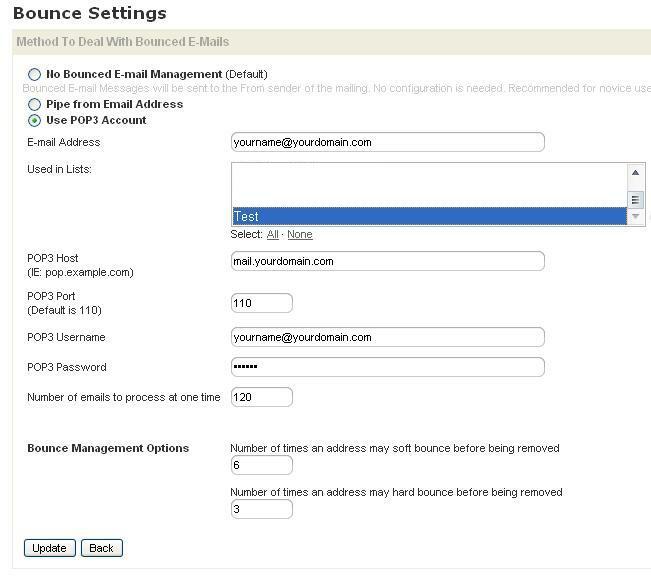 However, to pipe the bounced back message to your own script, piping configuration has to be made in your mail server. Use POP3 Account: This approach periodically scans an email account for new messages, reads the messages, then deletes them from the account. Once the messages are read by the system, they are recorded as bounced, so they begin showing up under Campaign Reports for the specific campaign. 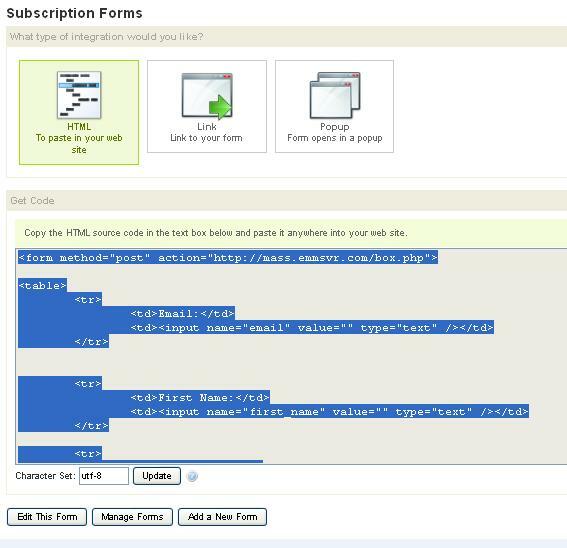 How to integrate the subscription form into your webpage? Why does my campaign report shows low or zero open rate? The open/read tracking option has been disable on the 'Summary & Options' screen of campaign creation. * By default, this option is enabled.